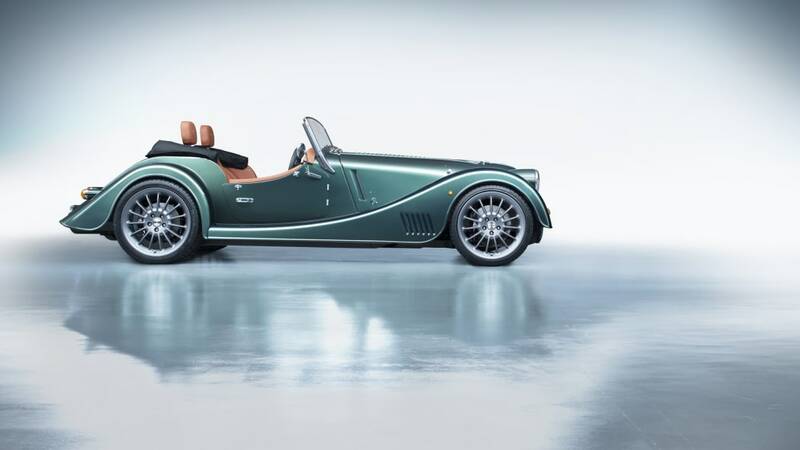 Morgan's first all-new car in 19 years replaces the Plus 8 and puts an inline-six at the top of the range. 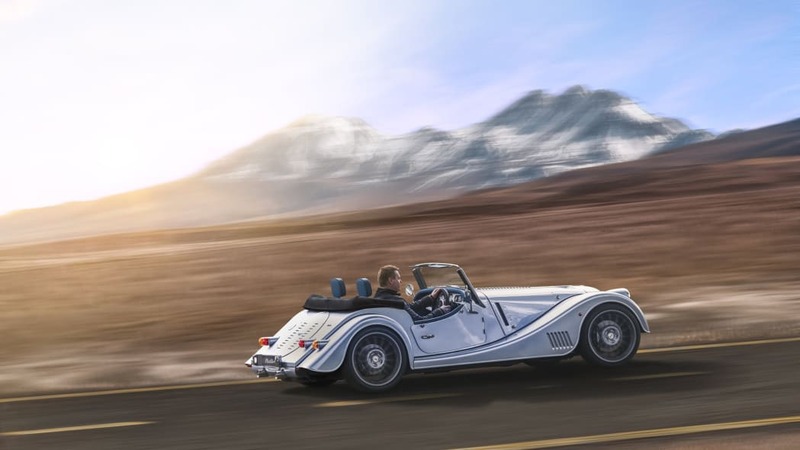 Not long after Morgan played the final performance of its BMW-sourced V8 engines, we caught spy shots of the new six-cylinder model. 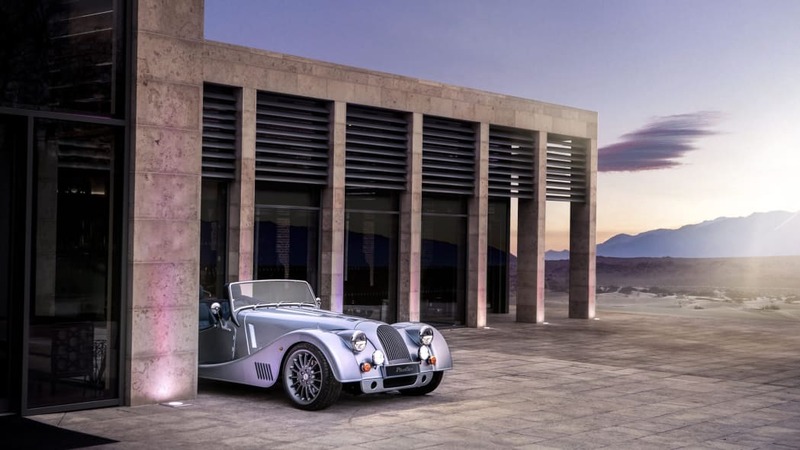 That roadster is at the Geneva Motor Show, and it's called the Plus Six. Although less powerful than the Plus 8, the Plus Six is a touch lighter and faster. 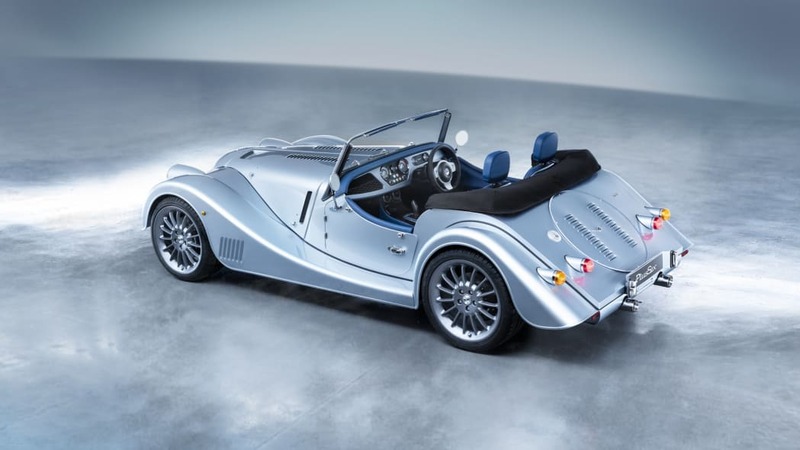 It also introduces a number of firsts to the brand, including being the first Morgan with a turbocharged engine. For the record, it's taken the company 110 years to hit that milestone. A new hand-formed, bonded aluminum body sits atop the traditional, English-grown ash wood frame. 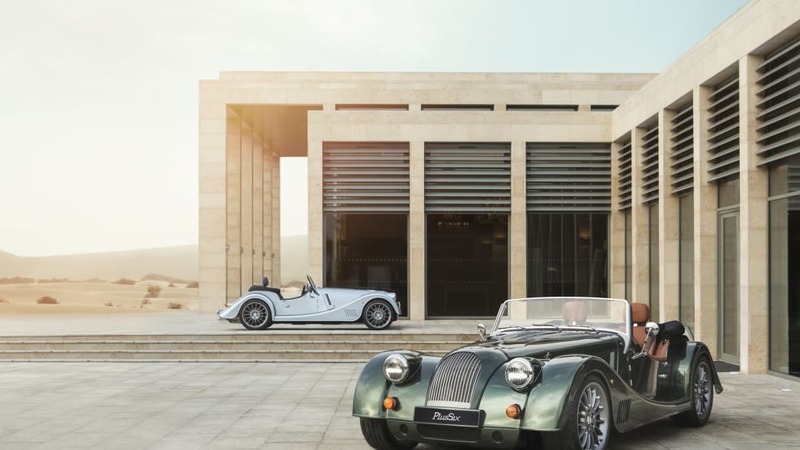 Called CX and employing join techniques similar to those used by Lotus, Morgan plans it for a lineup of performance-focused models. The CX incorporates better crash structures throughout, and integrated suspension mounts. 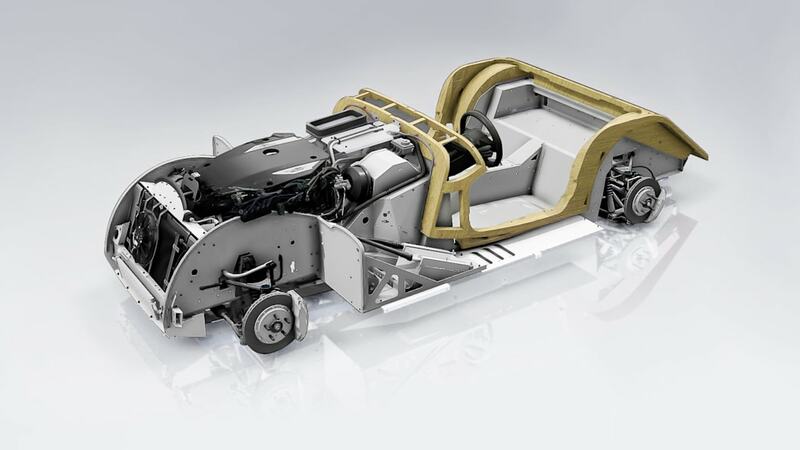 The body weighs less than 220 pounds, the whole car comes in at 2,365 pounds. 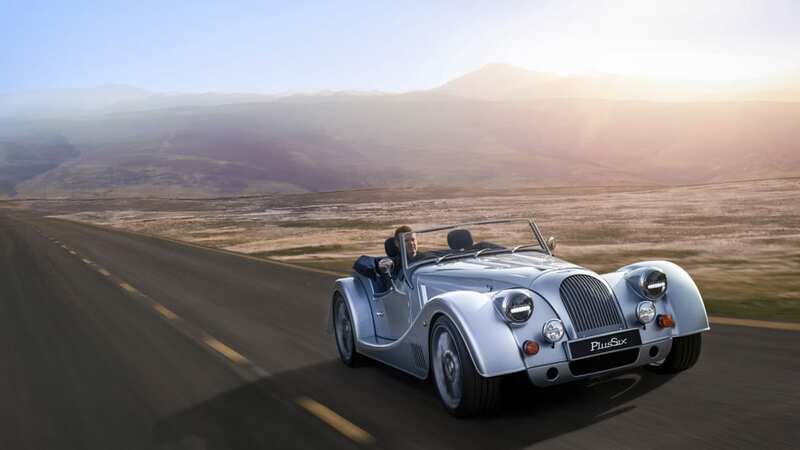 The redesign results in a 100-percent increase in torsional rigidity compared to the Plus 8. With the naturally aspirated BMW N62 4.4-liter V8 retired, the Bavarian B58 takes its place — the same 3.0-liter, turbocharged inline-six as in the Toyota Supra. 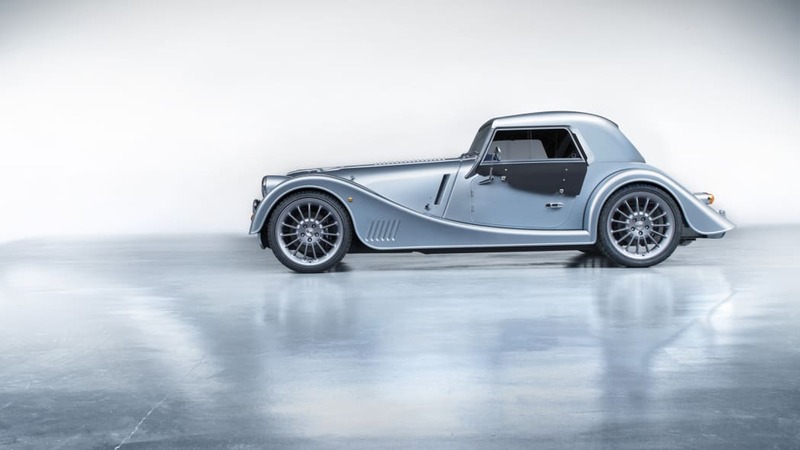 The Morgan makes the same 335 horsepower as the Supra, but four more pound-feet of torque, at 369. The V8 got 367 horsepower, but only came with a manual. 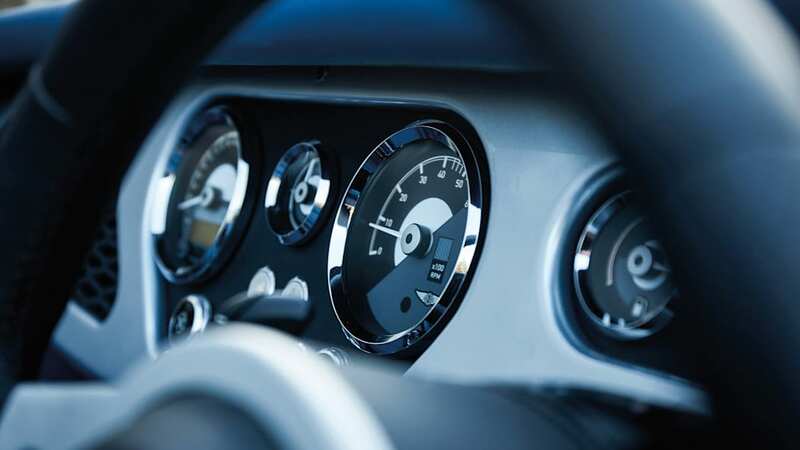 Shifting the Plus SIx with its ZF eight-speed automatic, the new roadster dashes to 60 miles per hour in 4.2 seconds, at least 0.3 seconds quicker than the Plus 8. Occupants get a better show of it, too. 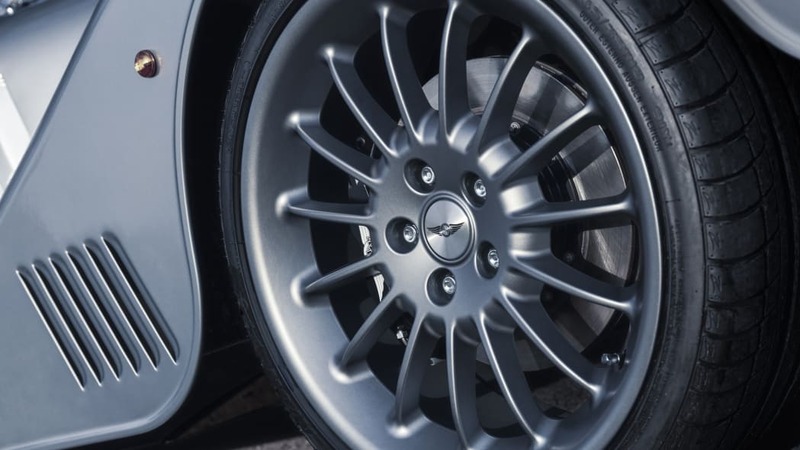 Length has shrunk by 4.7 inches compared to the Plus 8, but the wheelbase is 0.8 inches longer. 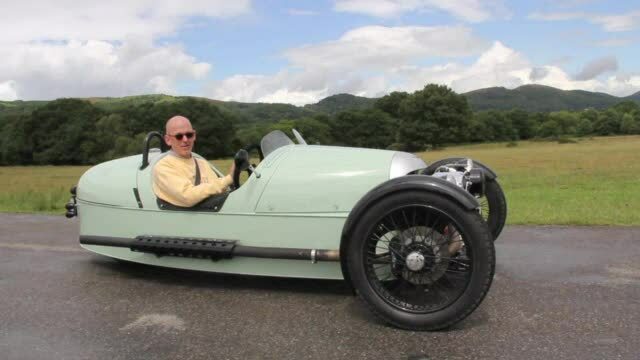 Belying those numbers, Morgan managed to carve out 7.8 additional inches of legroom and more luggage space. The first hints of modern amenities have crept in, too. The waterfall grille and round headlights maintain tradition, but those headlights are now automatic — a first for the brand. 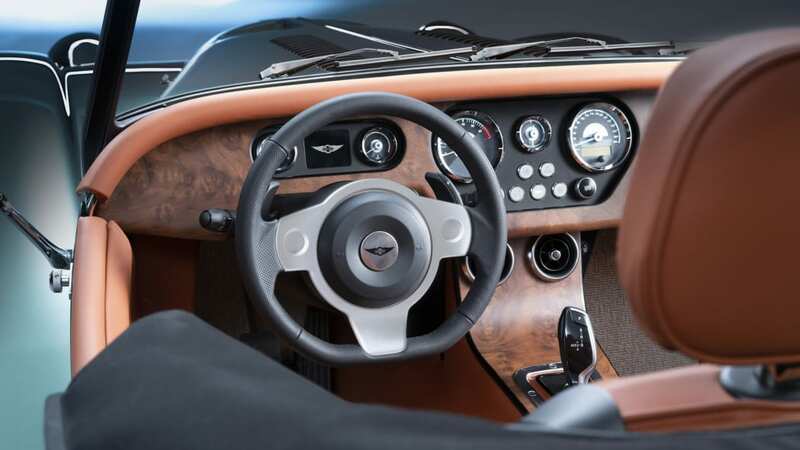 Owners will find a small TFT screen on the dash between an analog speedometer and tachometer, central locking and air vents, three more firsts. 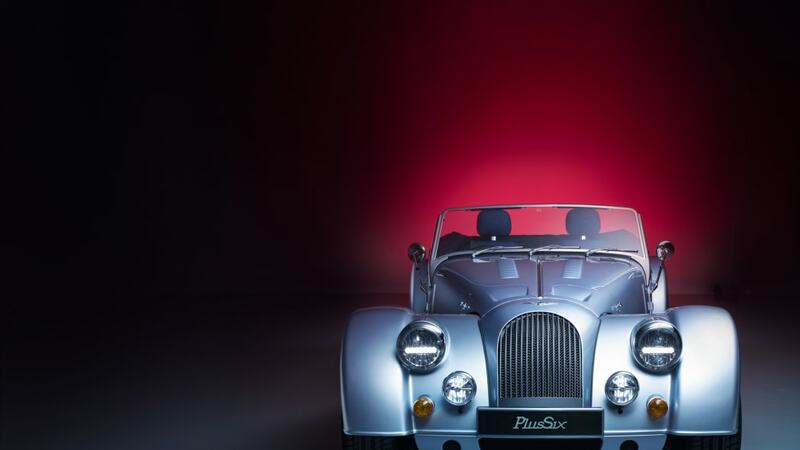 Before now, Morgan thought dash-mounted air vents were too tech-forward. 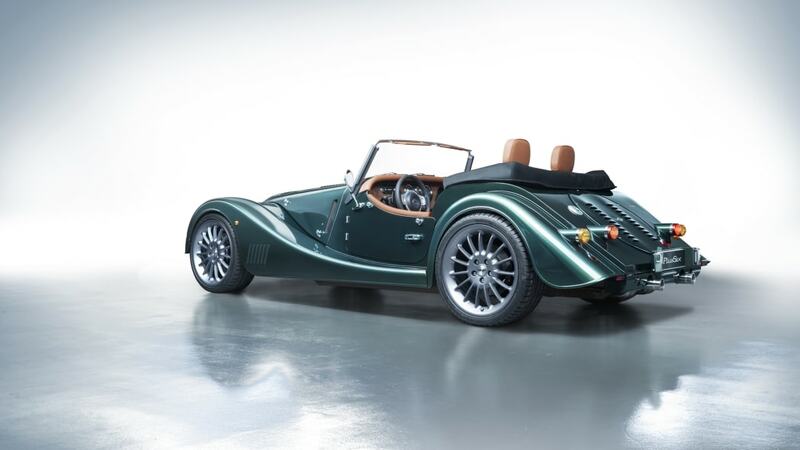 To be fair, Morgan hasn't launched an all-new car in 19 years. 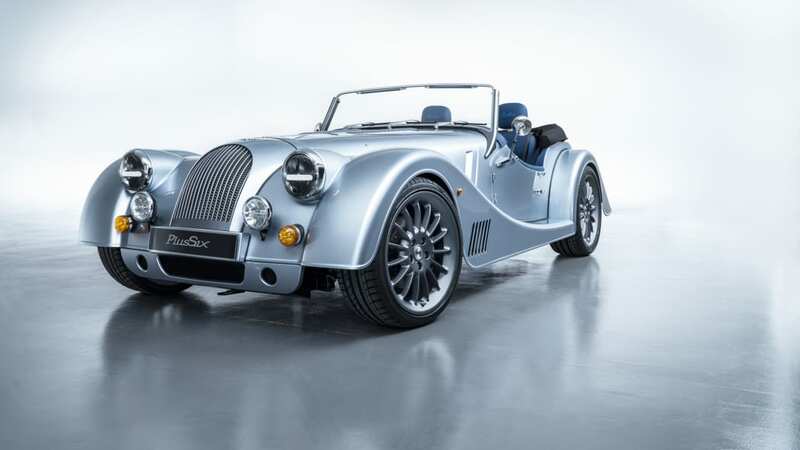 That about does it for the fancy, though; the only other big tech add-on is ABS, but Morgan says more will come later. 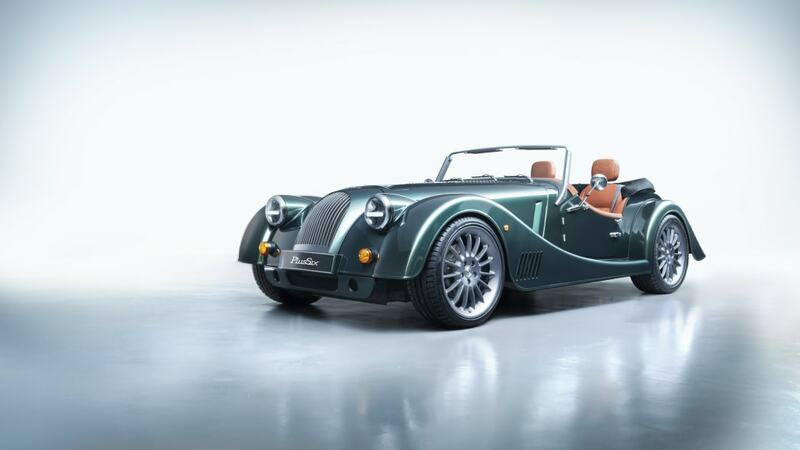 Accompanying upgrades in material quality, fit and finish, Morgan promises "unlimited wood and colour combinations." 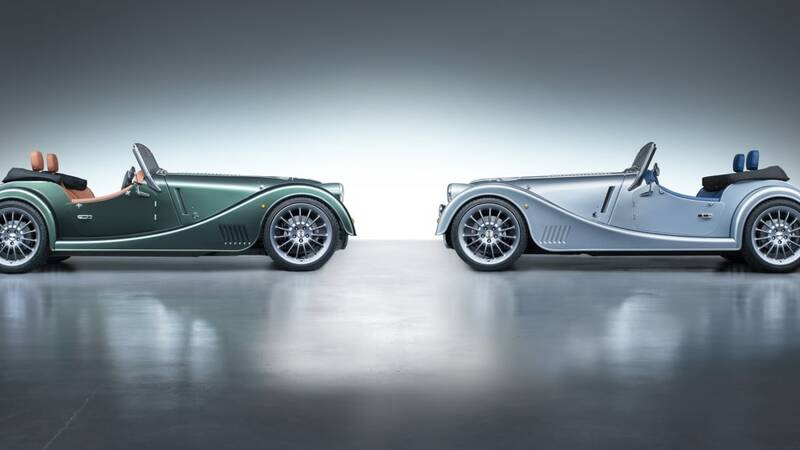 The initial 50 units of the Plus Six will be First Editions in either Emerald or Moonstone spec. 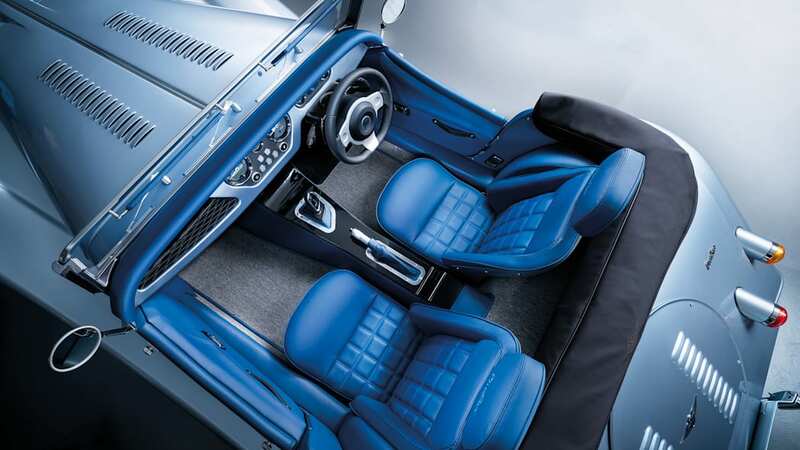 They will come fully loaded, with a composite hardtop thrown in, for £89,995 — about $119,000. 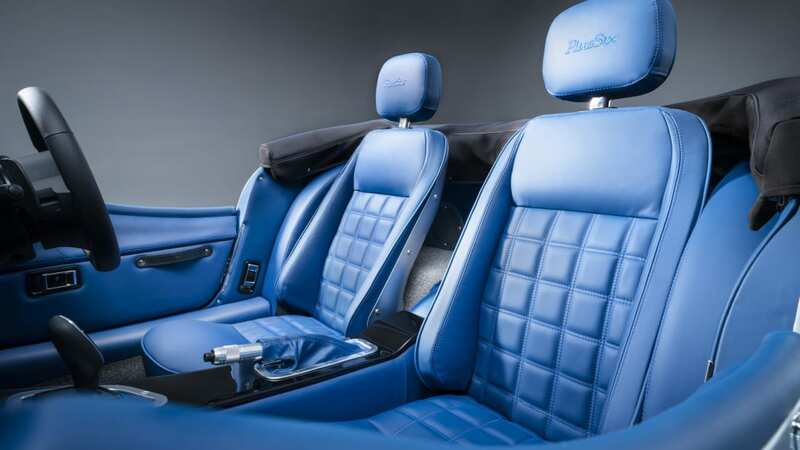 After that come standard Plus 6 models at a rate of about six per week, starting at £80,000, or $103,000. 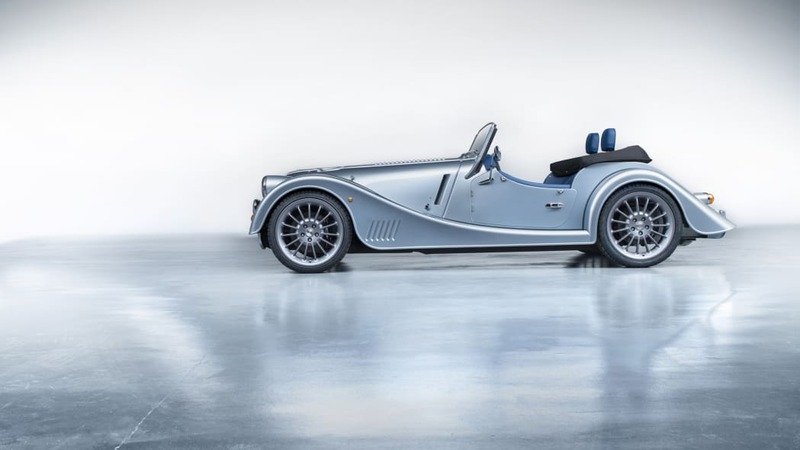 Morgan only sells its 3 Wheeler in the U.S., so the Plus Six is likely a looker-only for us.